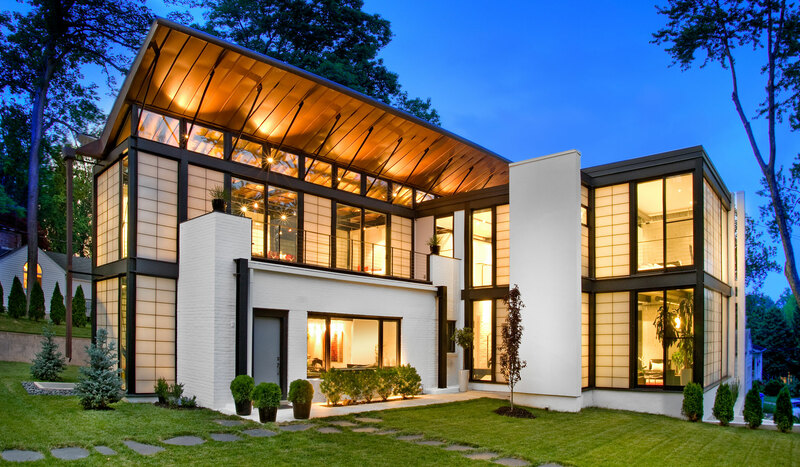 This residence represents the importance of environmental preservation through the recycling of an existing building, and is unique in its seamless integration of the existing house with the new construction, without compromising the aesthetic unity of compositional fortitude of the resultant. 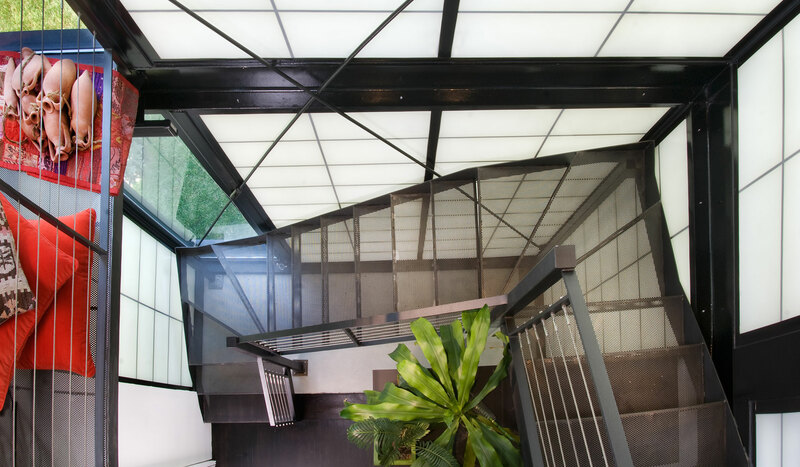 A steel exoskeleton was constructed to envelop the original home, creating a framework for expansion, while not structurally bearing on the original building. 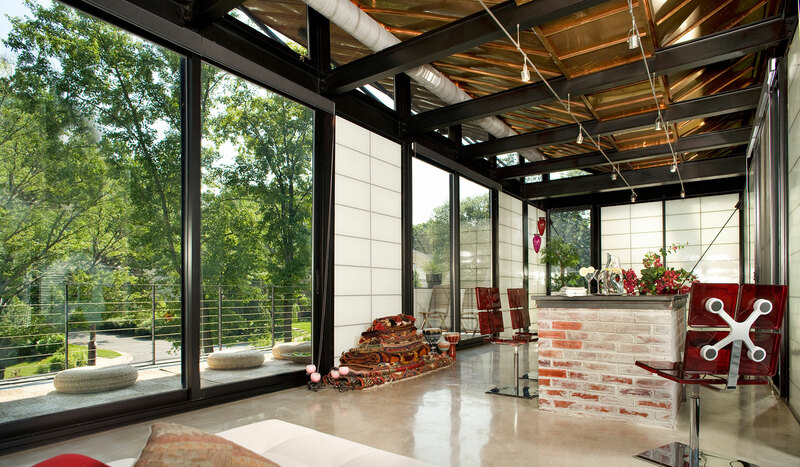 Modern materials were then arranged within this steel frame to create an open floor plan with an inspiring atmosphere for living and entertaining. Significant effort was made to preserve the existing landscape, harvest natural light, and establish a meaningful interior/exterior communication. Sustainable features include rain water collection and a wing shaped roof optimized for solar PV placement.